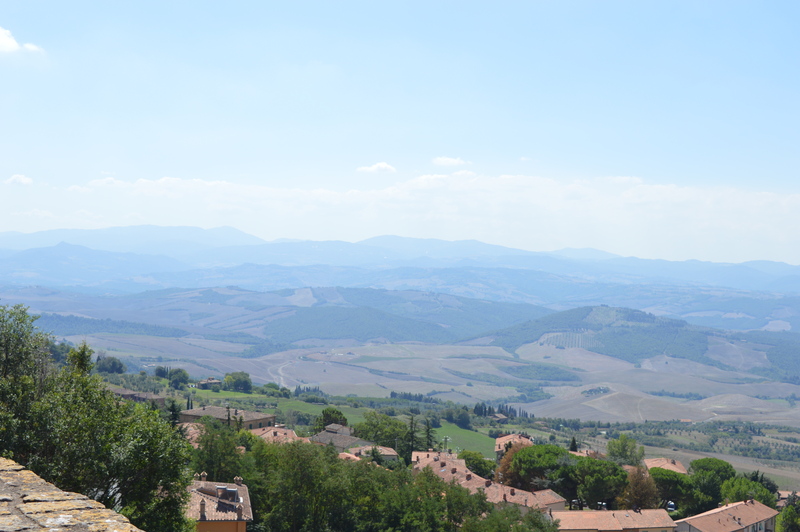 On our way to Volterra, from the place near San Gimignano where we were staying, we drove a very curvy way and to our amazement the countryside started changing from the beautiful vineyards to a rather rough landscape. Up on the hill we arrived and were so lucky, because we got a parking lot. 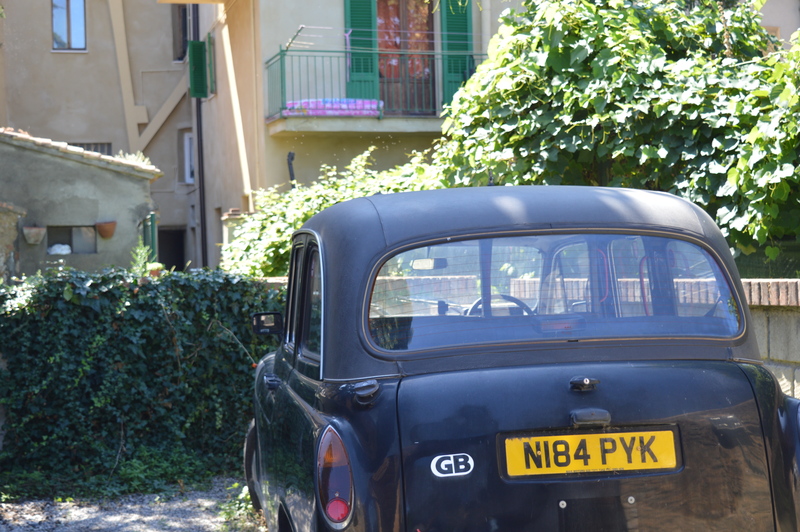 So if you´re visiting by car as well leave a little earlier to get a place to park your car. 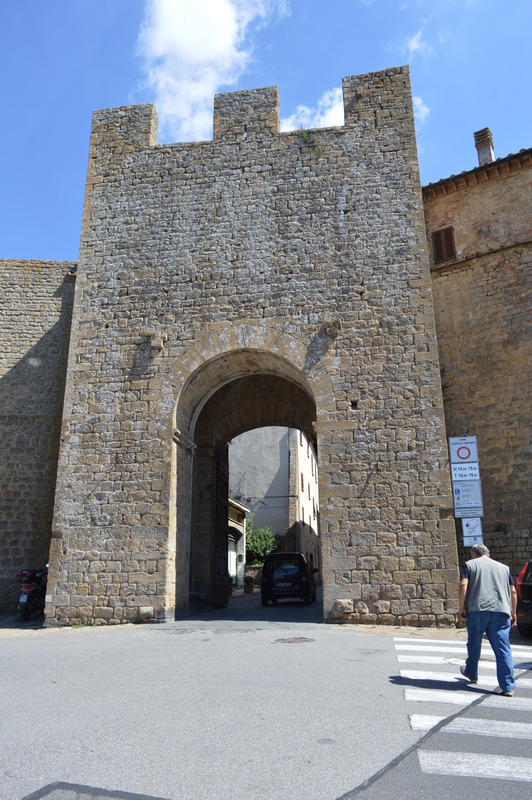 The first sight we went to was the old Etruscan gateway “porta d´Arco”, which the Nazis wanted to bomb in the 2nd World War, but the Italians quickly filled the inside up with stones and, lucky for us, the Nazis lost interest and left the gateway be. 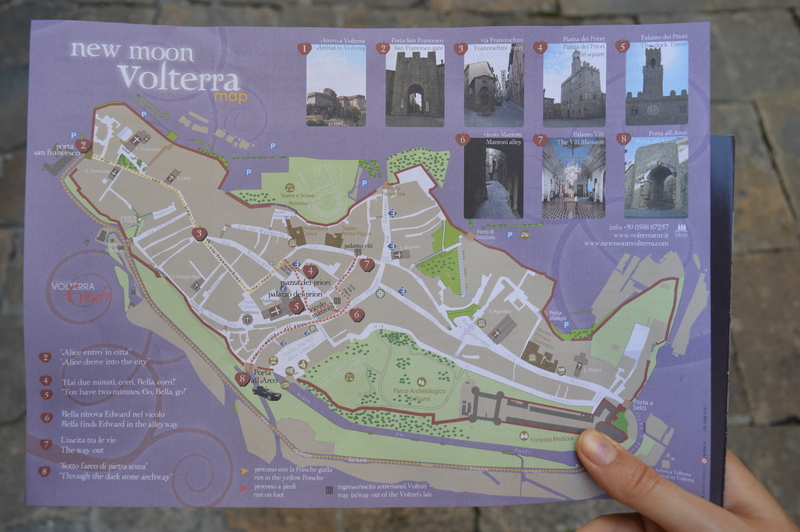 That way you can see an over 2000 year old gateway in Volterra, isn´t that amazing, just breathtaking?! A short time after that we visited the Cathedral, which is a little hidden. 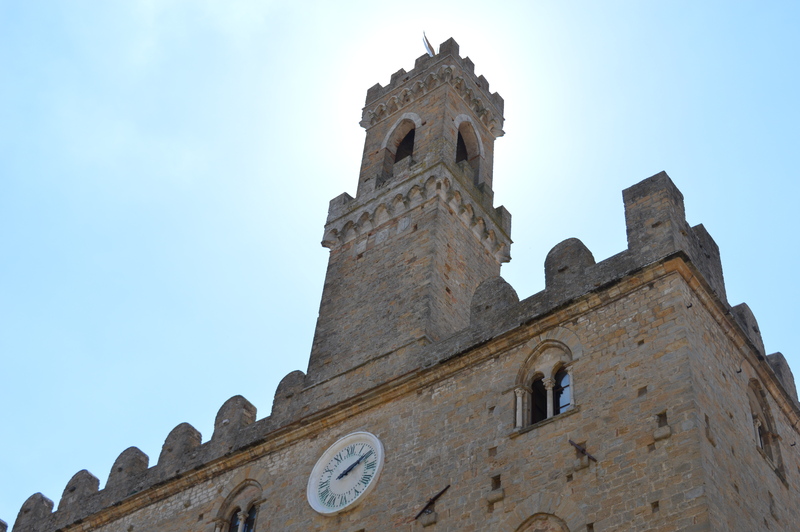 Having crossed the market place, we entered the building by its rear part, near the choir, which actually looks just like any other of the building, but without the windows and the marble included here and there in the walls. If you like light-show, go visit the Baptistery. I found it really funny that there was one in there, because that just seemed strange to me, the beamer in the font. 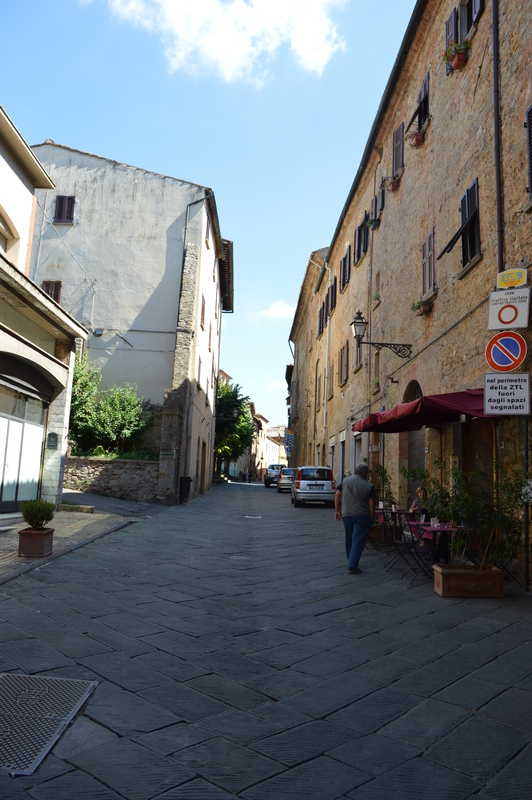 Anyways, after that we took a walk through town and had a short break for lunch at the “Bar/Osteria dei poeti”, which was a tiny bar where a lot of locals were enjoying their coffee and piadine. 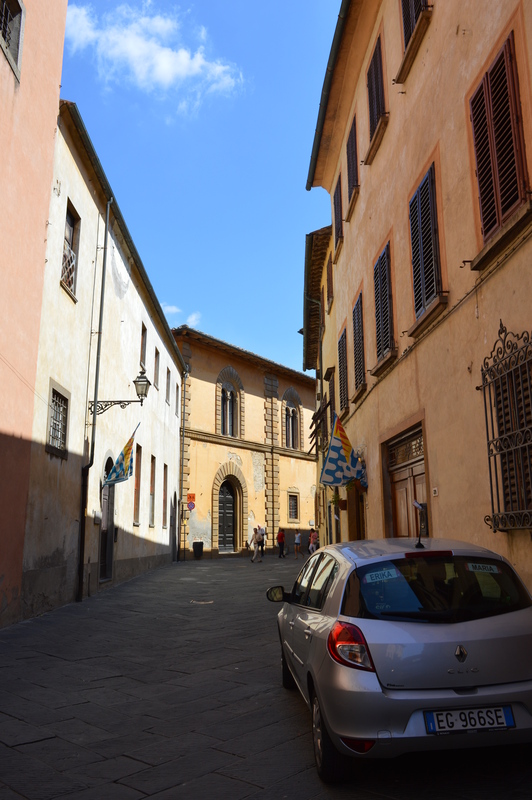 The “Palazzo Viti” was the place where Bella’s and Edward’s departure started. 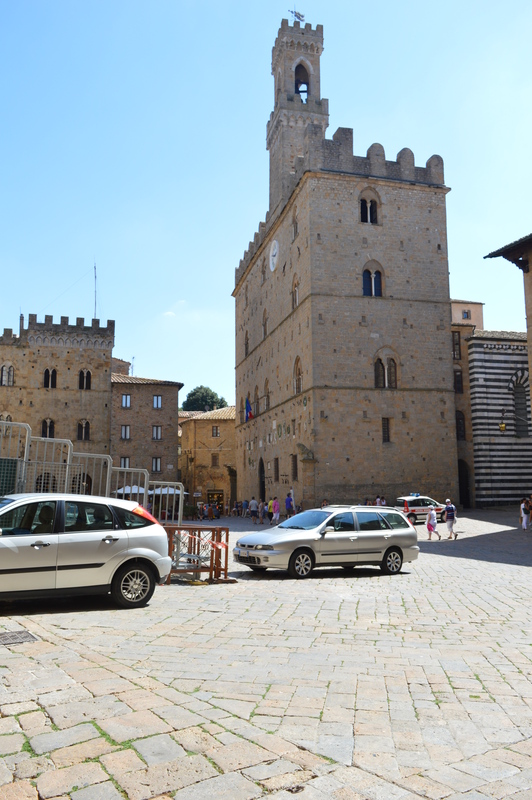 So that must be the place where the Volturi “live, so I went inside and took a look at this palace. 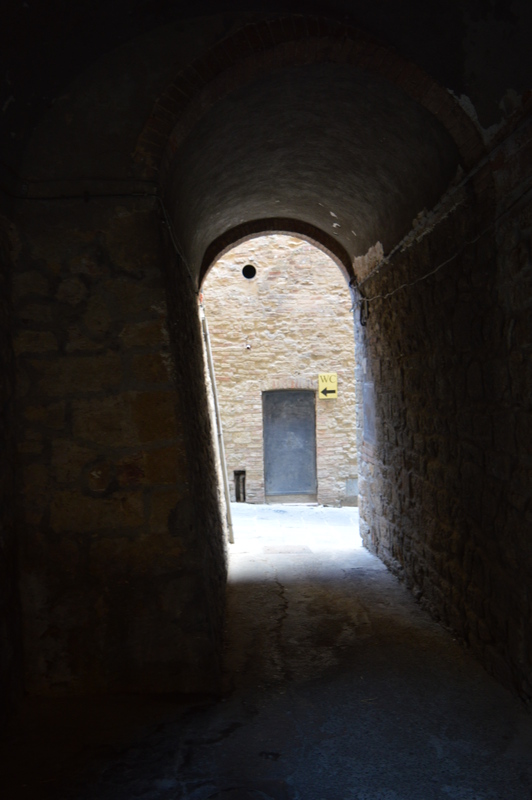 For everyone visiting, even if you don´t know “Twilight”, the “Palazzo Viti” is a place to go! It´s so beautiful! it´s a very lavish palace of a rich merchant of alabaster who also liked to collect art. 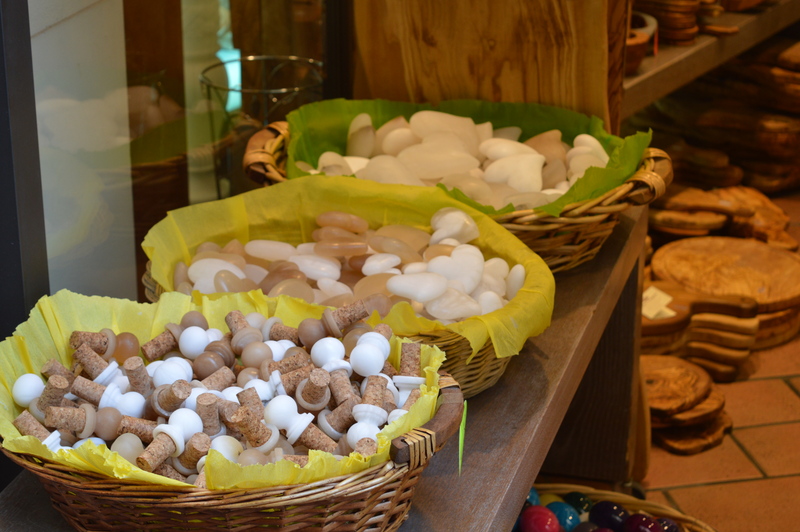 We walked the main street back to our car, stopping once to buy a souvenir, a small alabaster heart for a friend. Alabaster is the stone from this region and also the stone Stephenie Meyer described that Edward’s skin looks like. if you like “Twilight”, get the map, it´s really fun! 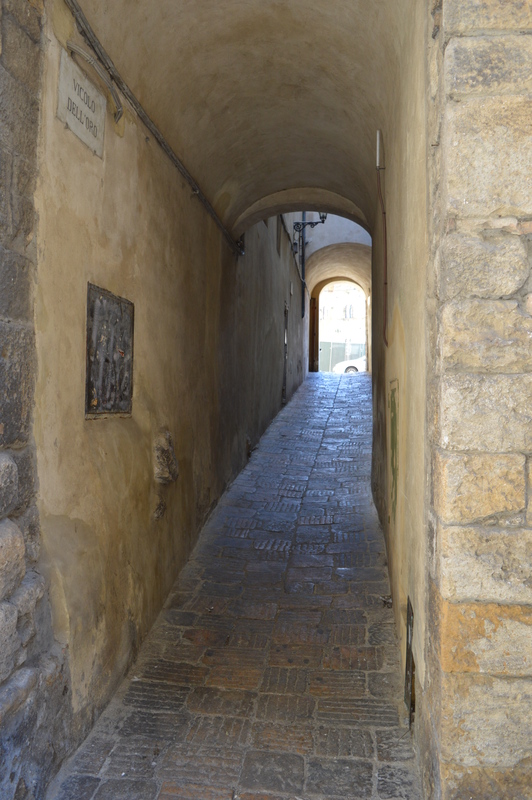 the “Palazzo Viti” – very beautiful! I’ve seen the movies too, and your title immediately drew me in. We love visiting film locations too, so I can totally understand you wanting to see and live it all! We even visited Southfork Ranch when we were in Dallas last summer! I read all the books and to be honest I like them a little more, nevertheless I am also a great fan of the movies! Yes, it´s just incredible being right there! 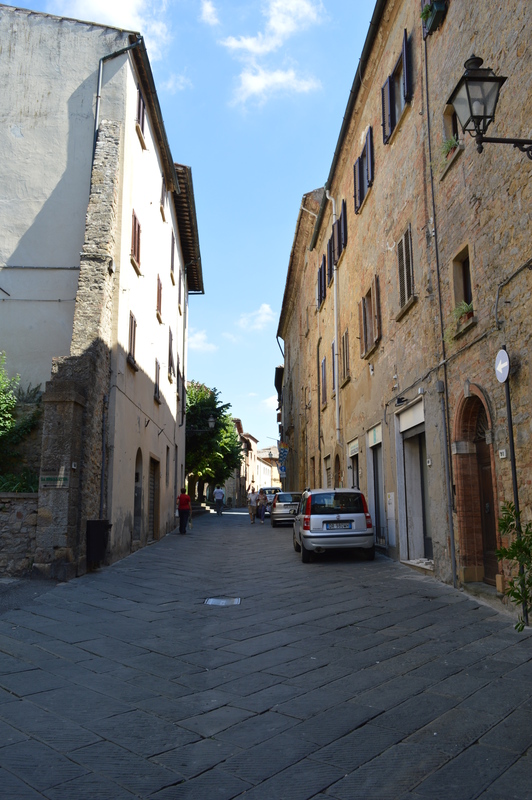 Although, what we learned was that the movie was´t actually shot in Volterra, but in Montepulciano. So the place with the fountain does´t exist there. But the book plays there and the exact route Bella took in the book was the one we walked! I found that just amazing! I was so happy! Southfork Ranch? That´s so cool! How did you like it? That´s nice! I hope she likes them! Yes, the Volturi aren´t the nicest of people (speaking sacastically) and I think they were´t meant to be… but, I really liked it how they translated that into the movie! I should´ve watched the movies too in advance! You did everything right! Southfork does look like a nice place and I guess it really comes to life if you watched the series! Or some episodes! Beautiful pics!!! I love all the architectural details. Thank you! I´m glad you like them! Looks like another place to add to the Bucket List! Yes! It´s definitely worth seeing! I hope you get a chance to go there sometime!